What Kind of Pressure Washing Equipment Do the Pros Use? Pressure washers – These are the machines you’ll see us wheel around your property. You’ll be able to see the engine, the holding tank for the cleaning solution, and the connected hose. Surface cleaners – These are large pieces of equipment with a flat, circular end. Surface cleaners resemble a floor buffer but aren’t nearly as abrasive. This tool allows us to get close to a flat surface (like concrete) to get it as clean as possible. Nozzles – Nozzles are the spray tips that channel the cleaning solutions. Different nozzles can perform at different pressures. Professional pressure washers will know which nozzle to use to deliver the best results. Choosing the wrong nozzle can hinder the cleaning efforts or even damage your property. 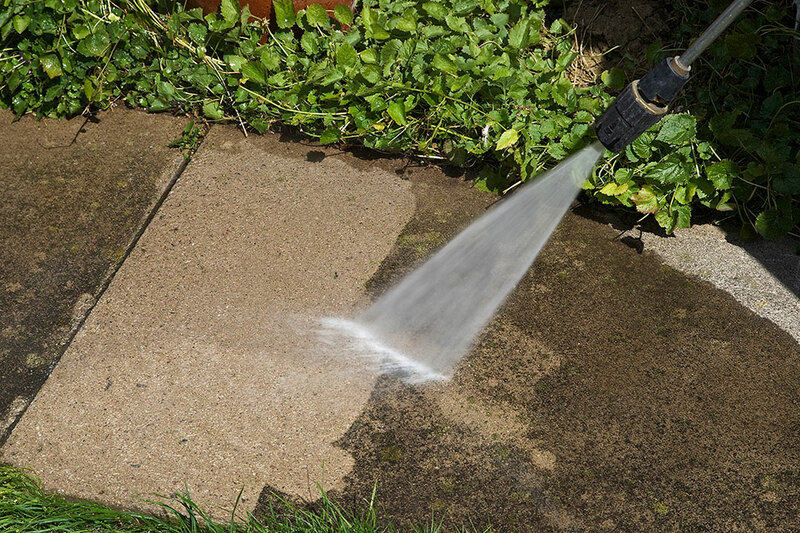 Chemicals – Our pressure washers use a combination of hot water and detergent for our cleaning. We don’t use harsh chemicals that will harm your property or the surrounding environment. Trailers and trucks – A pressure washing service must have the proper vehicles to carry their equipment to the job site. We’re able to clean buildings of all shapes and sizes because we’ve invested in our resources. When you need an experienced pressure washing service to clean your property, contact Pressure Pros of the Carolinas. We provide pressure washing, house washing, and exterior cleaning to the Charlotte, NC area.